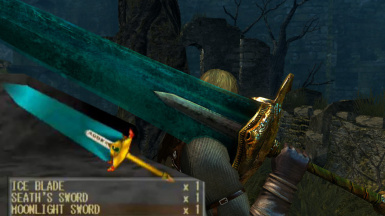 A retexture of the moonlight greatsword that more closely resembles the original moonlight sword from king\'s field. 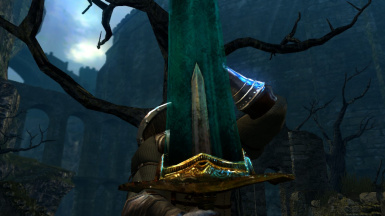 The ruined and rusted moonlight greatsword of dark souls is not a fitting representative for the series. 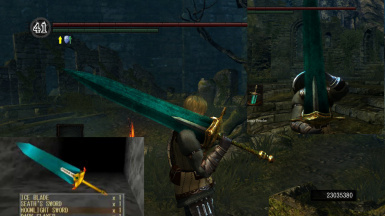 so i made this to make it more closely resemble the original from king's field. Please enjoy, and if you have not played king's field, i highly recommend it for any fan of dark souls! To install use NMM or for manual install, unzip and place the tex override folder in your DSfix folder. UPDATE: Made the inner blade a bit darker and made the runes on the hilt more noticeable.